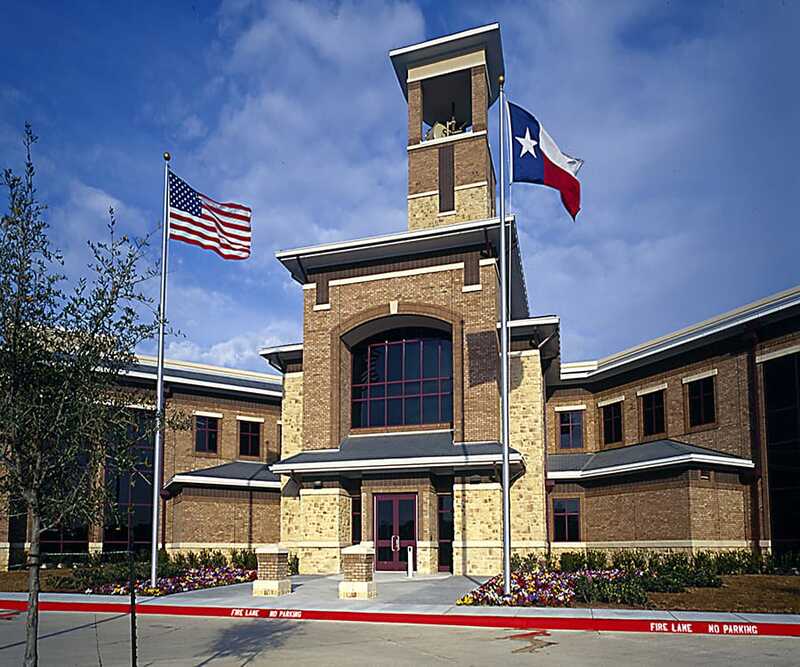 Gilbane Building Company managed construction of Verizon Wireless’ new Wireless Telecommunications Network Operations & Data Center located on 25-acres in Southlake, Texas. This facility houses Verizon Wireless’ communication control center. It is one of two operations in the country that monitors and controls the network for Verizon Wireless, the largest nationwide voice and data network. They have incorporated into their design the ability to expand this operations and data center for future growth needs. The 187,000 square foot mission critical facility consists of a 3-story structural steel frame core and features four concrete tilt wall sections; a Mobile Switching Center (MSC), M.E.P. equipment, Network Operating Center (NOC), and a 20,000 square foot Data Center. The building’s façade consists of brick, burnished block EIFS and synthetic stone. The tilt wall construction is anything but your conventional shopping center or small office building system that typically use concrete block walls. One of the panels weighs in at 120,000 pounds and another at an astounding 160,000 pounds. The tilt wall construction was used because it is believed to be one of the most durable and cost effective systems. The high-tech NOC serves as the heart and brains of the highly secure facility. This area is reminiscent of a NASA control room, which is staffed seven days a week, around the clock. Every bay station, cell cite, and advanced technology piece for the company’s network in the western half of the country are monitored there by almost one hundred employees.